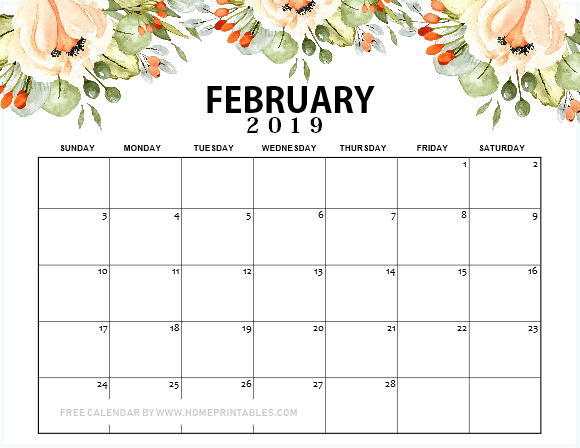 12 Free Printable February 2019 Calendar to Love: ALL Pretty! 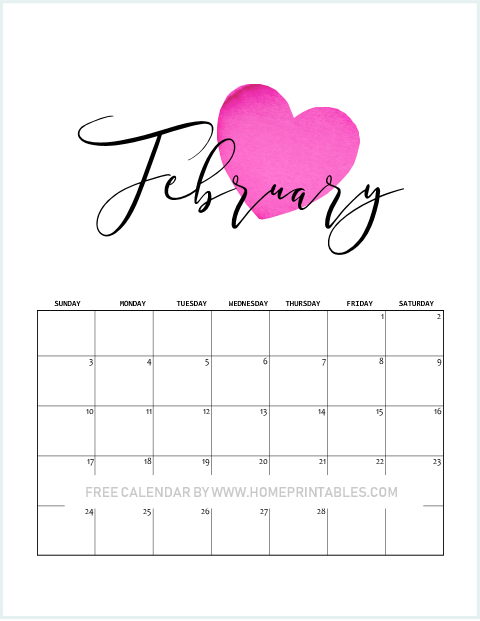 12 Free Printable February 2019 Calendar to Love! Plan the month ahead! 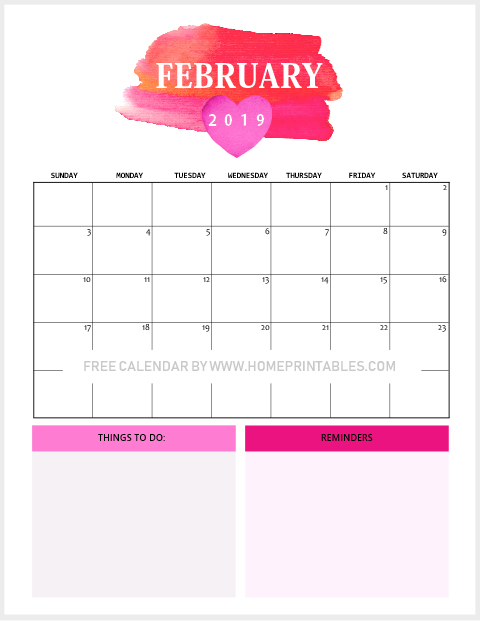 We are happy to share a dozen of free printable February 2019 calendar planners today. These freebies are perfect to use to organize your schedule. You can use them as your meal planner, habit tracker, goal-setting planner and a whole lot more. They are you organizing must-haves for the month. Print yours today! Ahh, the days are flying by so fast! It’s going to be February in no time. 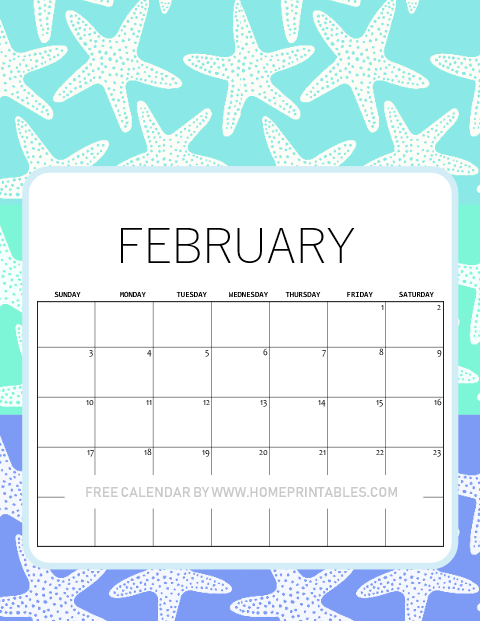 Are you looking around the web for a free printable February calendar to print by now? Just like you, we love planning ahead! We’re super thrilled to present to you the fresh designs we’ve got. We have calendars in gorgeous florals, calendars in fun and quirky print for the kids and calendars in sweet Valentine theme! Check them out! The first calendar that we have here for you comes in beautiful floral blooms designed by Denisse Anne, inspired by colors of the orchards! It’s a great calendar to used in home and office. Definitely one of our favorite designs released in this set! The second calendar is another beautiful floral calendar in mint and gold theme. We love that this particular calendar is less on ink yet beaming with prettiness! We also love the notes we’ve added at the bottom of the page where you can write the important events or reminders for the month! The third design that we’re sharing with you is a truly refreshing one! Look at those lush greens with charming flowers! Won’t they inspire you to start a great day? Make your February blissful. This free calendar can help you have one! Next up are the Valentine-themed calendars. They come pretty, modern and minimalist. Let’s check them out! If you want to add some Valentine sparkle to your daily planning, snag this pretty one to use! It comes simple and clean with a dab of Valentine magic- pink heart! This next free Valentine 2019 calendar that we have for you comes really chic and modern. We also love that it’s less on ink! We are going to print this one for sure. How about you? Well of course, we did not forget to include calendars that even the little ones will love to use. 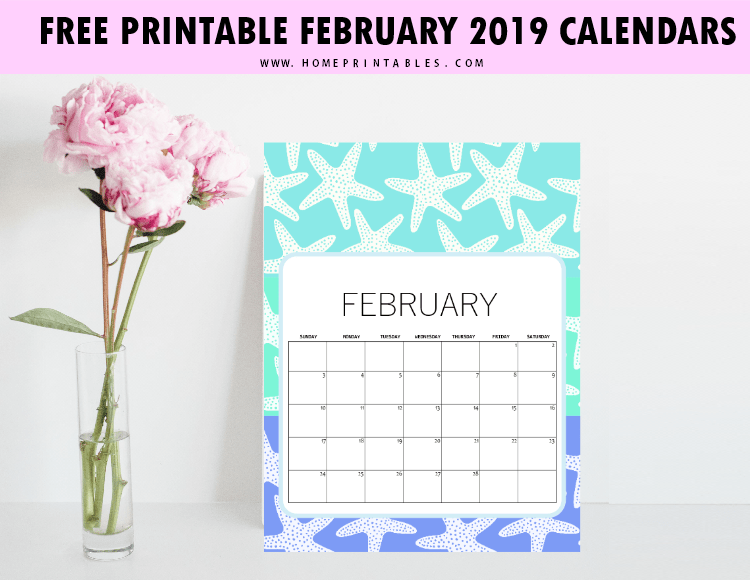 The next batch of free printable February 2019 calendar planners that we have here are especially designed for the kids, but hey, you can use them, too! 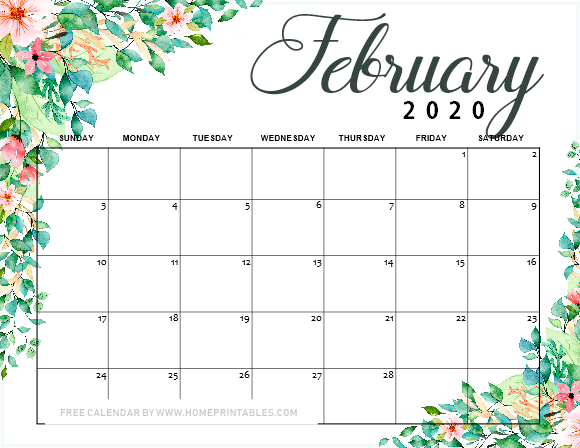 This February calendar is our absolute favorite! Look at that awesome play of colors! This is one perfect calendar to print for the kids’ school binders. Even teachers can print this for their classrooms, too! 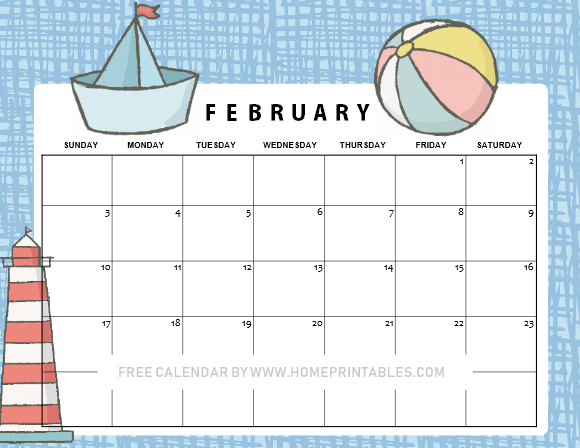 Use this calendar as activity planner, homework organizer, chores chart and more. It’s so colorful and cheerful. It’s definitely going to be fun to use! The last one that we’re sharing is super cute calendar that is also in sea-theme! Ahh, this particular designs reminds us so much of all the fun that summer brings! Print this for yourself and the kids in your life. 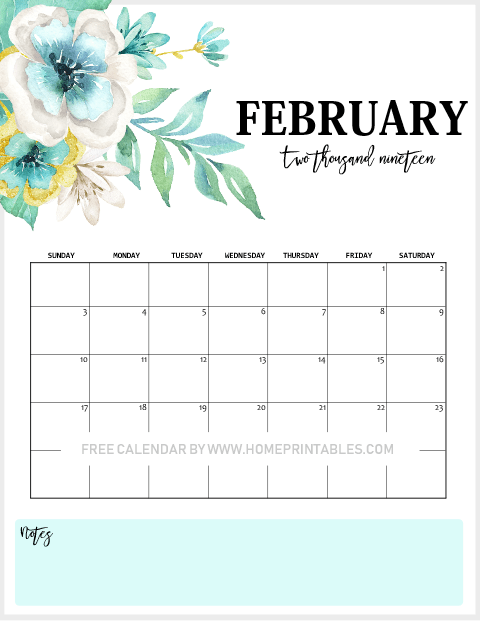 Get Your Free Printable February 2019 Calendar Today! Ready to snag the calendar copies? It’s easy! Follow the download instructions below and the printing reminders! You’ll get to see more designs in your download file. Print the calendars in US standard Letter Size paper. Enjoy the calendars for personal use! Lastly, we hope you can help us spread our free printables by pinning the image below on Pinterest. Thank you very much!